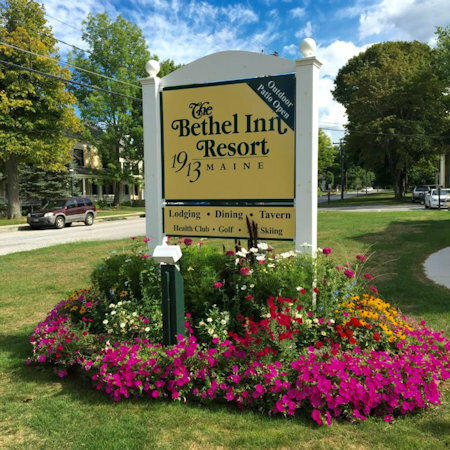 Enjoy a 7 Night Stay at The Bethel Inn Resort in Bethel, Maine! 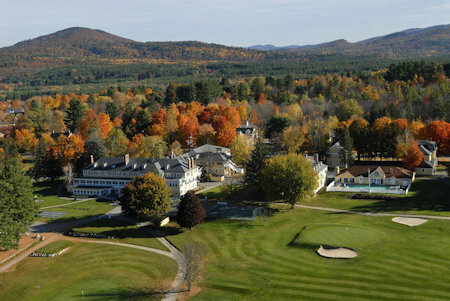 Nestled in the sprawling countryside of Bethel, Maine, just steps from the National Historic District, this resort features on-site skiing and golfing. 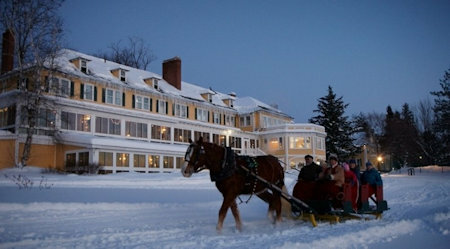 Grafton Notch State Park is 16.2 miles from the resort and Sunday River Ski Resort is 6.8 miles away. The resort offers breakfast in the Main Dining Room and classic New England selections and an award winning wine list in the Millbrook Tavern & Grille. The property lands expand to 200 acres inclduing a 6,700 yard championship golf course, the Guaranteed Performance School of Golf, tennis, the lake house offers kayaks and canoes, 35 km of cross country ski and snowshoe trails, a complete health club with a year-round outdoor heated pool, saunas, workout room, spa services, and conference center. These spacious accommodations are approximately 500 sq.ft., are steps away from the Main Inn Building overlooking the golf course/cross country ski trails and feature a large living and dining area, gas fireplace, air conditioning, kitchenette, flat screen cable TV and outside patio. 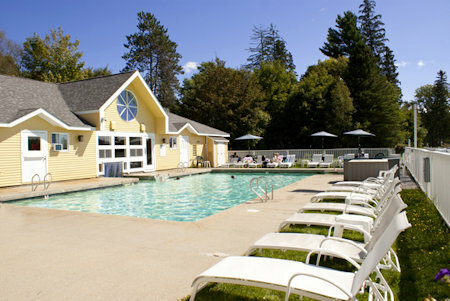 Your Studio Unit will accomodate up to 4 people and has a partial kitchen. These 1,000 sq. ft. units include fully equipped kitchens, spacious living and dining areas, fireplaces, air conditioning, outside decks and washers/dryers. The one bedroom suite has a private bath and either a King or Queen bed. Your 1 Bedroom Suite will accomodate up to 4 to 6 people and has a full kitchen. These 1,400 sq. ft. units include fully equipped kitchens, spacious living and dining areas, fireplaces, air conditioning, outside decks and washers/dryers. Both bedrooms have private baths, one has a King bed, th eother with two Queens. Your 2 Bedroom Suite will accomodate up to 8 people and has a full kitchen.